If you’ve decided to write a novel, then really there’s nothing I can do to discourage you. As if I would. I have written several and I remember the first one as if it were yesterday. It was a warm spring afternoon in New Jersey and I had laid down on the bed for a quick nap that soon developed into a rather deep sleep. When I awoke, I had this amazing idea for a plot and a couple of characters. It had a sci-fi element to it, something I’d never thought about before. But I loved the idea! I grabbed my pen and wrote down the general thought I had the minute I had stirred. Because as you know, a thought is a funny thing. It can flee in a moment with no notice whatsoever. I was startled at how vivid my idea had been. How had that happened? It was like a gift from heaven. That was my first introduction to the fact that ideas do not come from us. We are human dream catchers and channel the thoughts onto paper. Now, how to go forward. As I mentioned in an earlier blog, five children were under my roof. Two were babies, meaning they weren’t in school and needed constant attention. I wanted to write and now I had a plot that totally excited me. There was all the time in the world. I was a journalist writing non-fiction articles for newspapers and magazines, short fiction, but this was going to be my very first book. I wish I’d had a blog to help me get started. Here are a few pointers. Write fast. Set yourself a certain amount of words you hope to complete for the day or write for an hour, or even a half hour, according to your busy life. Turn off your editing self. Worry later about clean up. Get the story down. Research later. You can fill in facts and descriptions after the story is complete. Let new characters appear at will and enjoy the surprise ride. Use your enthusiasm to get the story down. Each morning I was excited to get up to see what would happen to my characters that day. Each day was a cliffhanger. I knew the end of the book, but the fun of creating, letting the ideas flow and writing a story that constantly surprised … What fun! First, I would reread what I had written the day before. And then let the ideas begin! Later, I could change anything. Just write freely and fast. The beauty was that I never knew where my characters were going, what they were going to do. What quirky ideas they might have. It was like taking a joy ride in a brand new car across country. Every novel can be that way if you have a place to begin. The universe steps in and will take you on the adventure of your life. If you haven’t had a dream experience and you’re not sure where to begin., you could try a trick of Stephen King’s. In his book “On Writing,” he explains several of his books came from using the “what if” scenario. If you have exhausted all your ideas of what to write and have come up with nothing, ask yourself a Darla question. What is your true passion? Is it a place, a country, a person? 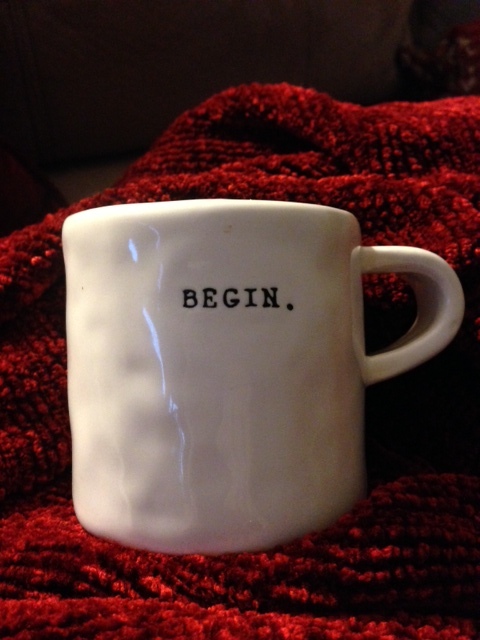 Begin there. Great advice, Darla. It’s amazing how ideas can keep coming the more you write. It’s one reason I really enjoy attempting NaNoWriMo every November. It means having to come up with at least 50,000 new words in a story and really can get you into a book. I love this one, Mom. However, I can’t imagine that you had “all the time in the world” while raising 5 kids!! I only have two and I feel like I have no time! You are amazing!